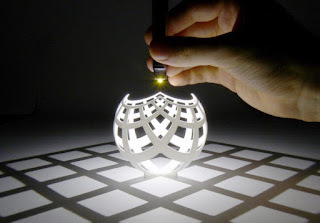 Mathematician Henry Segerman will show beautiful and compelling 3D printed mathematical generated art. Henry will generate higher geometry with topology and symmetry, shapes, and space. Find the mathematical meaning creating models with hyperbolic honeycombs, twisting torus knots, or the curves of a Klein quadratic. This webinar is for anyone fascinated by two, three, and even four-dimensional mathematics in 3D models. Henry will broaden your exposure to visual mathematical ideas, generation of geometry and 3D printed mathematical models. Henry Segerman received his masters in mathematics from the University of Oxford in 2001, and his Ph.D. in mathematics from Stanford University in 2007. After post-doctoral positions at the University of Texas at Austin and the University of Melbourne, he joined the faculty at Oklahoma State University in 2013.